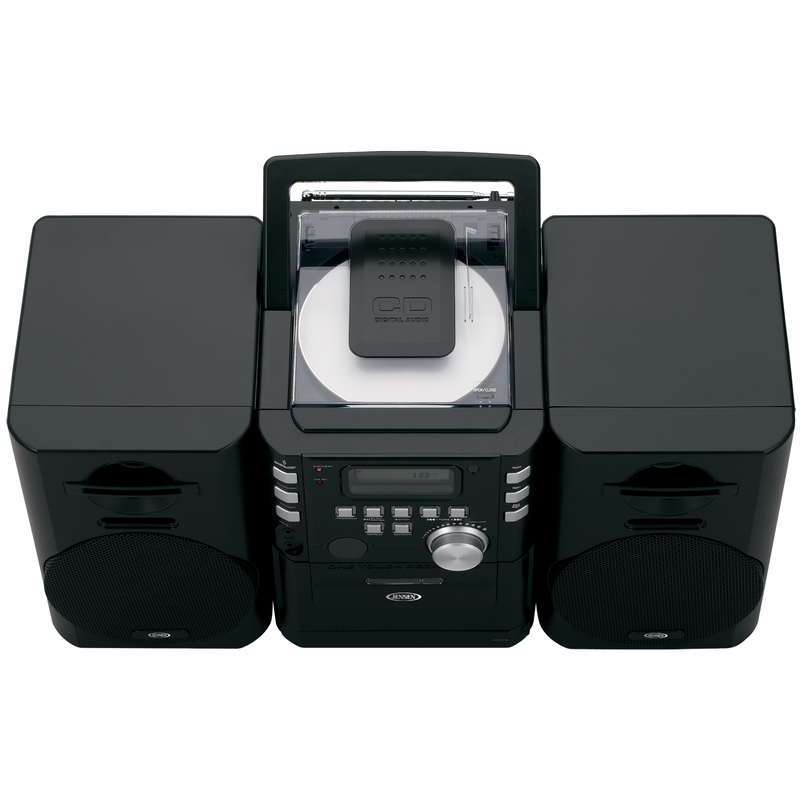 The JENSEN® CD-725 is a portable home unit that features a top loading CD player, FM stereo radio, a front loading cassette player/recorder and auxiliary input for connecting all your media devices. The front of the unit features an easy to read digital display and easy access controls. 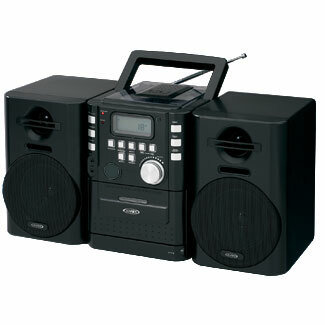 It comes with a carrying handle for easy transport, but can also be used as a mini music system on a shelf. 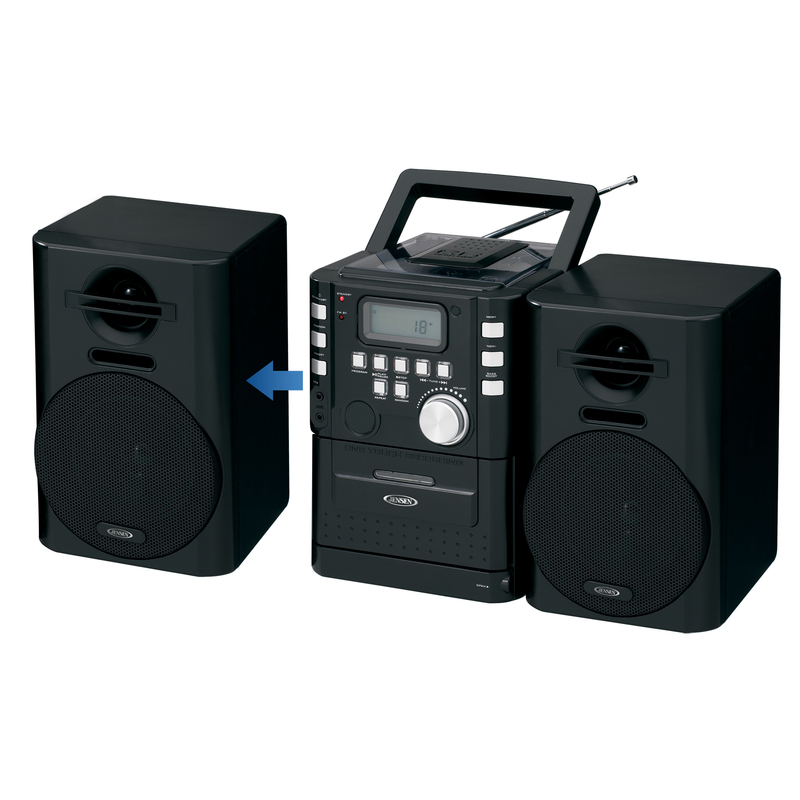 The speakers are detachable, so position them for the best sound. The unit operates on 120V AC or battery power (batteries not included).